You might not think that correct running form is very important however it really can make all the difference when it comes to strength, speed, and going the distance, especially in a marathon. Everybody has a different running stride and style. Some glide along gracefully while others look as though they might keel over at any moment. They run in such ways because it is comfortable for them and they don’t know the difference. 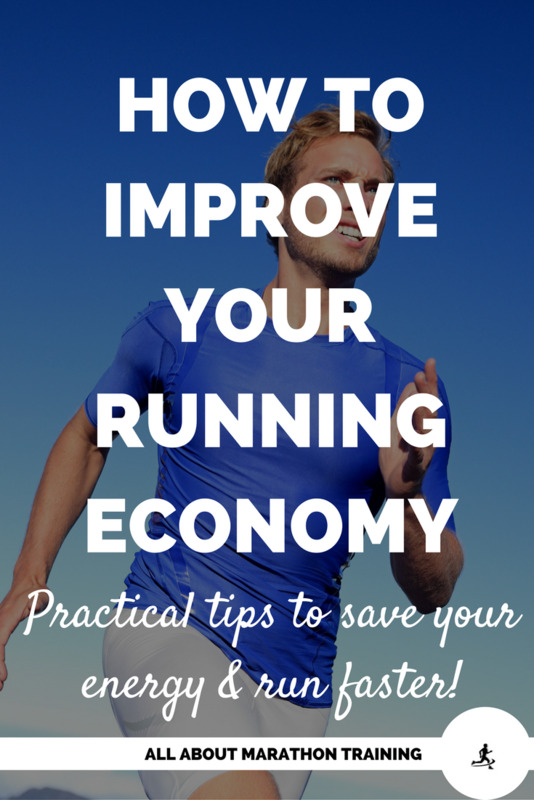 Those who are serious runners though catch on quickly to the fact that proper running techniques will help them go the extra mile and comfortably too! The benefits of correct running form are an increase of speed (which is what most racers are naturally inclined to want),a prevention against injury and a more enjoyable, smoother and energized run. You will feel the difference in the long run. (No pun intended.). 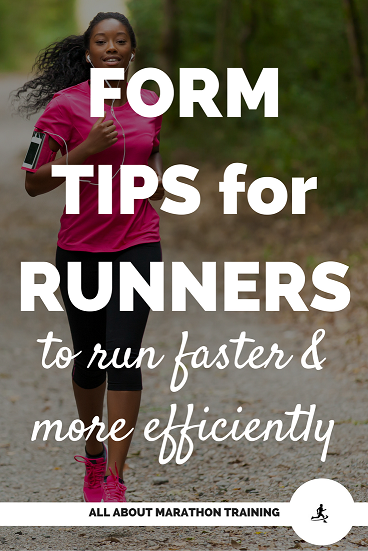 Also, form is everything for a beginner runner! Now is the time to learn what good running form is before habits are made. Watch some running form videos, have someone take a video of you running and analyze what you are doing right or wrong. What does Correct Running Form Look Like? Tension - many runners are plagued by tension everywhere throughout their body-hips, legs, neck, shoulders. Especially watch your shoulders! Even when we are not running we have the tendency of walking, sitting, standing, etc. with our shoulders up to our ears. It’s no different in our running form either so be on the lookout for this. Cramps - If you are constantly plagued by cramps you are probably not breathing correctly. You should be breathing very deeply and keep your chest out. 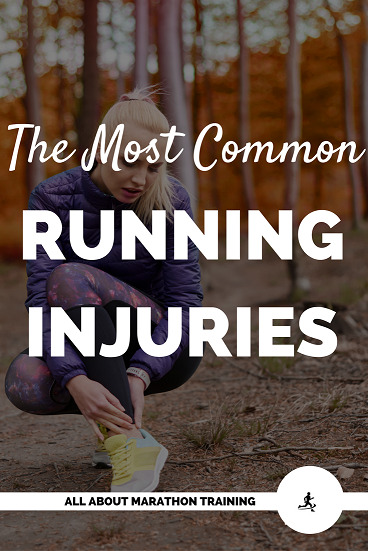 Cramps can also be caused by drinking too much water or not enough during certain times throughout a run. Tightness - Yes, this is different than tension that you might feel. A lot of tightness can be overcome through proper stretching but incorporating correct running form will help reduce muscle tightness as well. Knees: If you are an endurance runner looking for more speed watch your knees! Sprinters lift their knees up high when they run because they want to produce more power and stride length. As a marathon runner you only need to lift your knee up slightly which well help you to conserve more energy which translates into a stronger sprint at the finish line. Stride: Contrary to what you might have thought and large stride length does not mean faster speed. In fact shorter stride lengths do! Many runners have a longer stride length than necessary but the key to speed is just increasing the frequency of your strides. Arms: A common mistake of long distance runners is moving their arms too much. The greater your arm swing the greater the amount of energy you expend. During a marathon, where your goal is to conserve energy, you need to keep your arms relaxed, and down near your waist. A faster arm swing means a faster speed. When you see the finish line in sight that is the time to increase your arm swing which will give you more energy and speed for your sprint to the finish. Posture: Posture is a key to correct running form and will directly help target your trouble spots. As you run your body should be perpendicular to the ground. Your head and shoulders should not be leaning to far forward or back. As you run concentrate on moving your hips forward and everything else will follow. Relaxed Body: Keeping your body relaxed especially your upper body will help you conserve energy. Think of your upper body as being smoothly carried along since its your legs that are doing most of the work. Keep your shoulders relaxed. It’s easy for them to start a hike up to your ears. Especially if you are beginning to feel sluggish do a quick shoulder check. Chest: Focus on keeping your chest lifted as this will help to promote air flow and better breathing. If your chest is sagging you may begin to feel tired as you are less capable of taking a full breath of air. Also, lifting your chest will allow your torso to elongate which will again help with breathing through to your diaphragm. Abs: Pull your abs in to take pressure off of your back. Especially if you are running longer distances or maybe have some extra weight to lose, pulling your belly button in towards your spine will give you back a break from doing all of the work and will help prevent a backache but also give you a stronger more correct running form. Arms: Your arms can help you be speedy or they can help conserve your energy stores. In a long distance run, you will want to keep your arm swing to a minimum since an over-pronounced swing (such as when you sprint) will take up large amounts of energy. Don’t bring your arms across your body when you are running. Keep them in a forward and backwards motion. Hands: some runners like to put it as protecting a butterfly in their hands or not crushing chips in their hand. The point is to not clench your fist but to keep your hands cupped lightly and relaxed. I like to softly touch my forefinger and thumb together as it is difficult to clench your fist if you are in this position. Head: Keep your head up and think of spinal alignment. Posture is everything to run faster, have great form and reduce upper body soreness. Feet: As for your feet, the more steps you take the better. Don’t focus on taking big steps, rather take small, little steps. You will have better form, less impact, and will go faster. Don’t let the front foot land far out in front of your body. (Termed “overstriking”) It should land directly under you. Breathe deeply: As you begin to run your need of using a larger amount of your lung capacity increases. You are going need to get more oxygen to your muscles, especially those hard-working leg muscles and the best way to do this is to take deep breaths. Your breaths should come from deep inside of you which will increase your oxygen consumption. Learn more about breathing as a runner. Run lightly: Runners with bad form usually have a loud footfall while those with good form are light and soft on their feet. Try and focus on keeping your body light and graceful which helps to conserve energy and prevent injury due to hard impact. 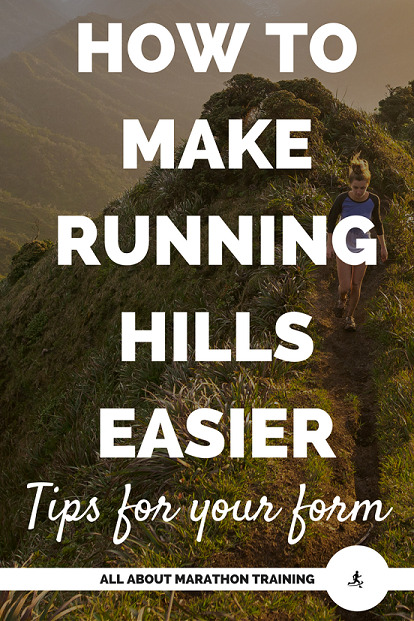 Obviously it is hard to remember all of these form tips when you are out running but you should know what areas you are struggling on and would like to improve. Pick one and work on it. The benefits will surely begin to show!